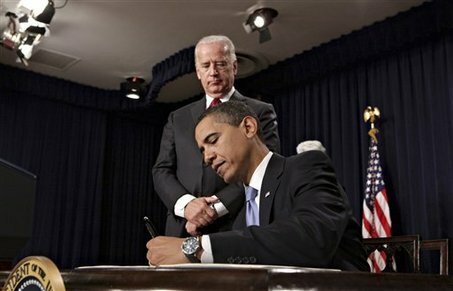 (THE ROUGH BEGINNINGS) Jan.21- A disgusted Biden looks on as Obama writes his "chicken scratch." WASHINGTON, D.C. – When it comes to the topic of handwriting, Joe Biden calls himself “old-school” for believing good penmanship is the mark of a courteous writer who truly values his readers. 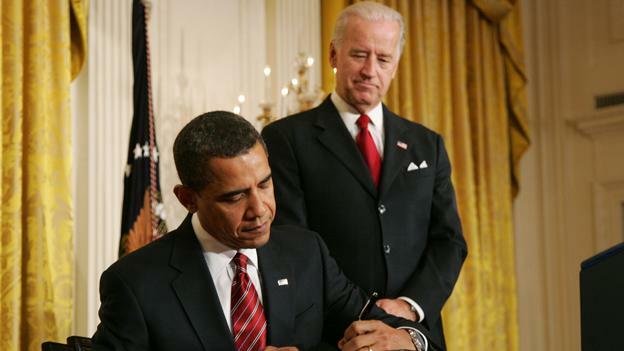 Biden first took notice of Obama’s sloppy writing a few years ago while the two were still U.S. Senators. Yet, it wasn’t until late 2008, when Biden read an illegible hand-written memo from Obama that left the VP dumbfounded as to what was written, that he decided to take action. In an effort to keep the matter internal, Biden approached Obama in private and offered to give him secret handwriting lessons. Much to Biden’s surprise, the President enthusiastically accepted Biden’s offer and the two met on a bi-weekly basis for secret handwriting lessons in the Oval Office until mid-September. 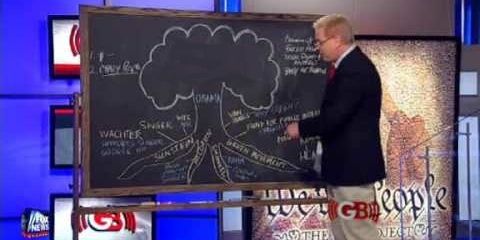 (FROM BABY STEPS TO BREAKTHROUGHS) May 27- Biden notices improvements in Obama's writing. Sources close to the VP say the process of transforming the President’s writing has been a monumental undertaking for Biden. The VP’s friends in the handwriting community actually tried to dissuade the VP from taking Obama on as a student, saying “coaching someone as old as Obama is impossible, he’s too foregone and entrenched in his writing style already.” Biden began to wonder if his friends were right after the initial lessons with Obama ended disastrously. 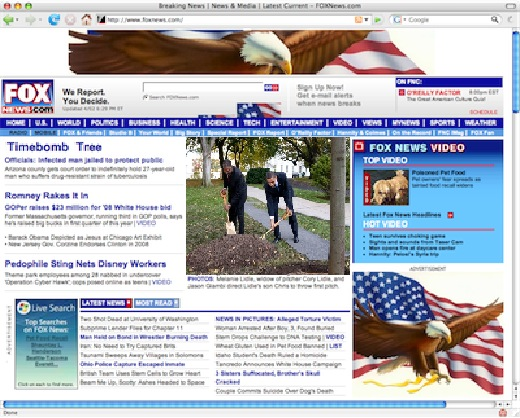 Teabagging townhalls: Whose nuts? Whose mouths? Teabagging, as shown by this video, has the potential to ruin the lives of kid, and it also has the potential to ruin our chances of having an educated debate on health care. The term “teabagging” is slang for the act of a man (teabagg-er) placing his scrotum in the mouth or on, or around the face of another person (teabagg-ee), often in a repeated in-and-out motion. The practice resembles dipping a tea bag into a cup of tea. By now you may be asking yourself what this weird sexual act has in common with health care. The answer is everything.